Innumerable delays on construction sites throughout Ontario add onto builders’ overhead costs, which consumers ultimately pay for. The question, then, becomes: What is causing the delays? While it’s difficult quantify, Filice reckons that all the delays add an additional two months of construction for high-rise developments. 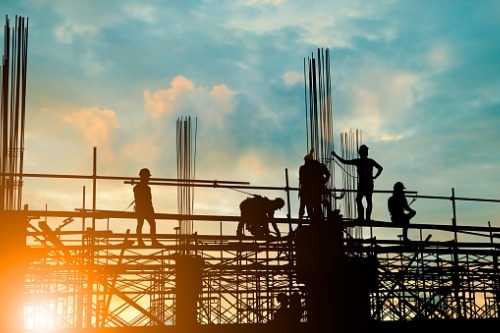 Although a painfully slow bureaucratic approvals process is well documented, little attention is paid to the fact that, not only is there already a shortage of skilled trades workers, a substantial number of them are slated for retirement over the coming decade. “There are 91,000 skilled construction workers in Ontario that are set to retire, and migration to the Greater Toronto Area is about 100,000 every year, and we’re not going to be able to meet that demand,” said Filice, adding that the problem has become particularly pronounced over the last five years. Indeed, a study undertaken by the Residential Construction Council of Ontario confirms that job satisfaction among construction trades is high. Despite there being some stigma associated with the job, RESCON reports that, on a scale of one to 10, nearly two-thirds rated their job satisfaction between eight and 10, with the average score coming in at 7.9. The study also determined that nearly two-thirds of skilled trades workers would strongly recommend the profession to a young person, and 81% enjoy a sense of financial security. There are also intangibles associated with the job, like camaraderie and feelings of satisfaction derived from working towards shared goals as a team. However, the worker scarcity is persistent and the delays Filice alluded to could conceivably make the cost of housing in a city like Toronto even more expensive and beyond reach than it already is. Richard Lyall, president of RESCON, says that a recruitment campaign is well underway to reverse the trend. The report, which also looked at behavioural economics principles, will be used to boost awareness about the skilled trades among guidance councillors and educators. Given that the existing labour shortage comes at a time when Queen’s Park and Ottawa are likely to commit more money to infrastructure projects, there will be no shortage of work for tradesmen and tradeswomen.